The book “Women’s Struggles for Peace. Experiences from Serbia, Kosovo, Sri Lanka and Syria”, published in Turkish in December 2016 is the outcome of a research project led by two colleagues from our research area Peace, Reconciliation and Social Memory, Günes Dasli and Nisan Alici. The motivation behind this project analysing Women’s Peace Activism in four different countries was triggered by the obvious lack of integration of women’s positions in the peace talks between officials of the Turkish state and Kurdish side held from 2013 to 2015. Although near to the end of the talks, the Kurdish Women’s Movement managed to have one of their representatives included in the “Kurdish Delegation”, which consisted of one female and two male members of parliament, the necessity of integrating women’s positions and perspectives at all levels of society during such peace negotiations became strongly evident in this period which has unfortunately relapsed into violence. In fact, women in Turkey can look back on various forms of peace activism: the Peace Mothers, an initiative founded in the late 1990s by Kurdish women who had lost their sons in the war, the Saturday Mothers who were mothers or other relatives of those who had been extra-judicially killed, as well as the Women’s Initiative for Peace (BIKG) which has existed since the end of the 2000s and the most recently founded Women’s Freedom Assembly (KÖM). Nevertheless, we believe that a better understanding of the problems which women in other contexts face in their struggles for peace, of the different fields which they are active in, and of their demands and practices can contribute to women’s peace activism in Turkey. Accordingly, the four countries were selected depending on their comparability to Turkey. Especially, the issue of ethnic conflict was central as well as the ongoing conflict. Drawing on interviews with women activists and NGOs from Serbia, Kosovo, Sri Lanka and Syria, the study reveals a wealth of experience regarding women’s peace activism which can inspire us. Most importantly, it shows the necessity for a wholesome approach to the struggle for peace which attends to the various dimensions of war: loss and trauma, poverty and forced migration, nationalism as well as patriarchal norms and practices. The analysis of women’s activism in these four countries highlights the different forms of women’s engagement. Women of various segments of society and different political backgrounds are involved in individual and collective forms of struggle. The examples discuss women who become active by specifically emphasizing their traditional role as mothers and women who define themselves as anti-militarist feminists, women’s NGOs which provide well-organized psychological support and humanitarian aid, women that intervene in top-level negotiations – even if rarely – or function as local mediators as well as activist groups which focus on addressing the broader public. As such, the book addresses four different dimensions of women’s peace activism: ending the war or ongoing fighting, reducing the effects of war, reconciliation and memory work after the war, and finally educating and empowering women more generally, all of which are fundamental aspects of the struggle for peace. However, the study also reveals the difficulties and set-backs. In nearly all cases, the struggles of these women continue even after the official end of the war, because the actual triggers of the conflict – the nationalism, racism and militarism – have not been overcome. It is in this sense that the study once again highlights how closely interwoven the struggle for peace and the struggle for gender-equality are. Effective lasting social peace is not possible without pushing for practices, arrangements and strategies specifically addressing not only the specific violence which women have suffered during war, but also the nationalist, patriarchal and militaristic discourses, norms and practices which provide the breeding ground for violence: Even after an official peace agreement, violence – especially against women – continues in other ways. 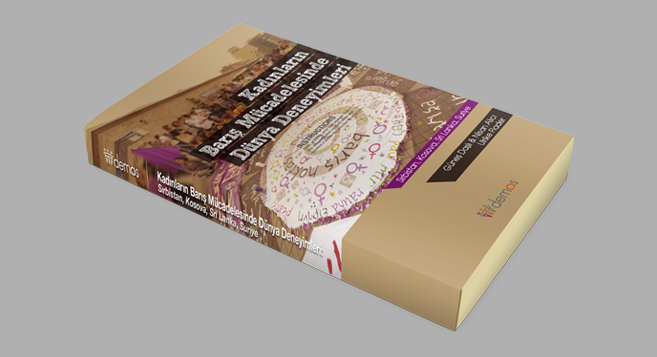 The book attempts to make its own small contribution to enrichening our knowledge of the various forms of women’s struggles for peace in the hope of overcoming this current phase of renewed violence in the Kurdish Conflict soon. Share the post "Learning from Other Women’s Struggles for Peace"